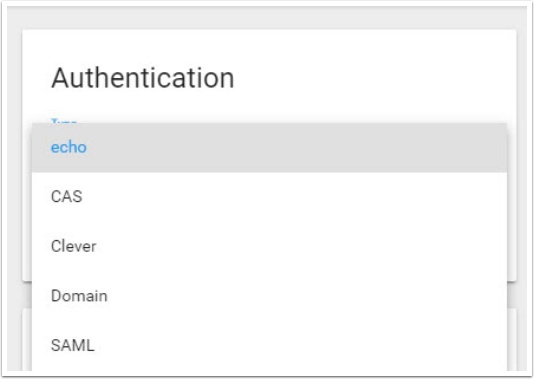 SAML authentication can be used to establish a secure single sign-on (SSO) connection between Echo and an external identity provider (IdP). Example, Google. Echo support the use of Single Sign-on (SSO) features to allow users to sign into one application (for example, a student information system) and be automatically logged into Echo without needing to re-enter credentials. 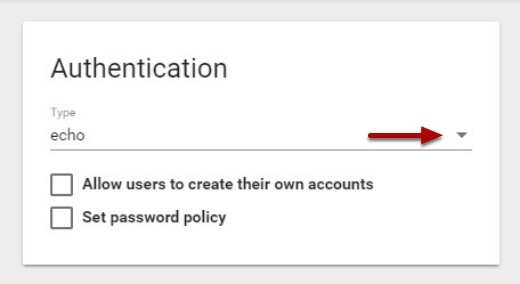 This feature can help eliminate the need for teachers an students to remember multiple credentials sets. and URLs of the other. particular, between an IdP and a SP. and other tools to the authenticated user. For these instructions, Echo is the SP. 2. Go to your IdP and create a new SAML configuration. Each IdP is different in how to configure and setup a new SAML configuration and you may need to consult an expert (or the internet). 3. The IdP will then ask to either (a) enter, (b) upload, (c) copy and paste, or (d) provide the URL to the SP metadata (see step 1). If optional, enter the URL as it could dynamically pull the information into the IdP from the SP, reducing the need for future changes. 4. Once configured and available in your IdP, download the IdP metadata file. 5. Rename the downloaded IdP metadata file to idp-meta.xml . 7. 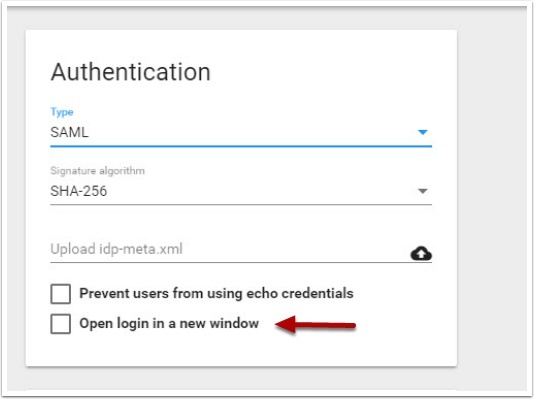 Attempt to login to Echo using your new SAML integration. If you use CAS, provide the CAS server URL. If you use SAML, choose the signature algorithm you want to use and upload the idp-meta XML file. Your SAML provider can tell you which signature algorithm to use; if you can use either, we recommend SHA-256 as it is more secure. Domain allows you to point to another domain to use the other domain's SSO configuration. For example, if you configure SAML in a district domain and it is the same SAML to be used for each school (because the users in the SAML is all district users), you can point the school domain to use the districts SAML configuration.